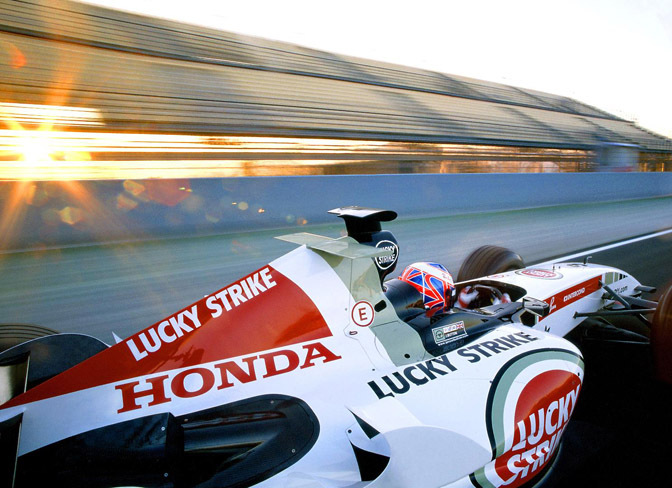 As we round out our Honda coverage, it is time to have a look at Honda’s involvement in Formula One. The Japanese manufacturer has competed in Formula One as a team on two occasions. They originally entered the world of F1 back in 1964. 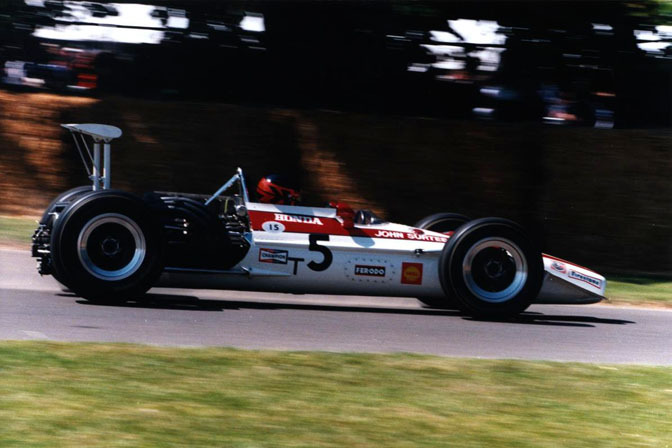 Honda built their own chassis and engine – which was unusual in the 60s – just as the all conquering Cosworth DFV started to take a hold on Formula One. In their second year of competition, Honda won the Mexican Grand Prix with Richie Ginther at the wheel. It was an amazing win given they were competing with the likes of Lotus, BRM and Ferrrari. Honda won again in 1967 at the Italian Grand Prix in the Lola designed Honda RA300. Sadly, Honda driver Jo Schlesser died following a crash at Rouen in 1968, which prompted Honda to withdrawn from Formula One. 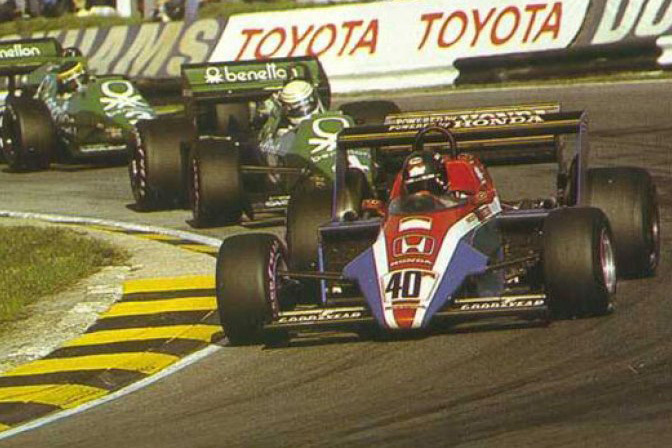 Honda returned as an engineering manufacturer in 1983 and would remain in the championship for eleven years. Honda made their debut with Spirit Racing team finishing half of the races they entered. 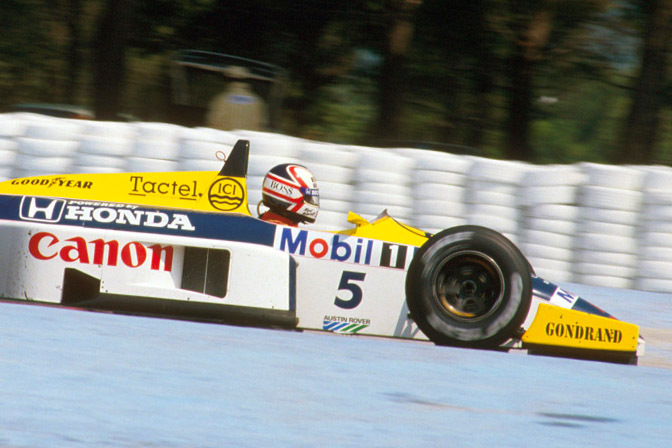 Honda quickly moved to Williams, where a long and successful partnership was formed. 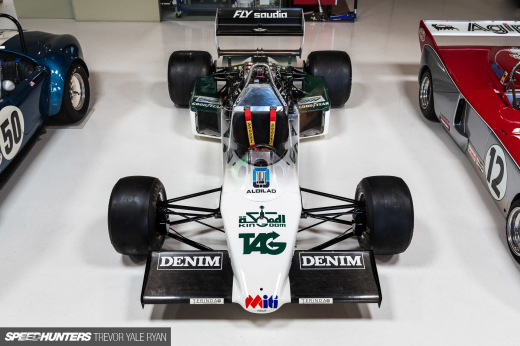 Williams Honda scored four wins in 1985 with Keke Rosberg and Nigel Mansell. This was followed up by the Constructors’ Championship the following year. During 1985, Rosberg became the fastest F1 driver in history (until 2002) with an amazing qualifying lap at the British Grand Prix with an average speed of 160.9mph. 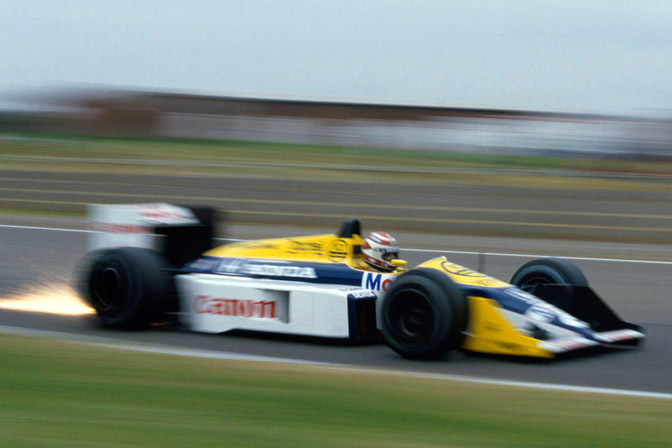 In 1986, Nigel Mansell was joined by Nelson Piquet. Honda decided to supply Lotus in 1987 with Ayrton Senna and ‘Honda-boy’ Satoru Nakajima. The 99T wasn’t very competitive and Senna looked to move on. 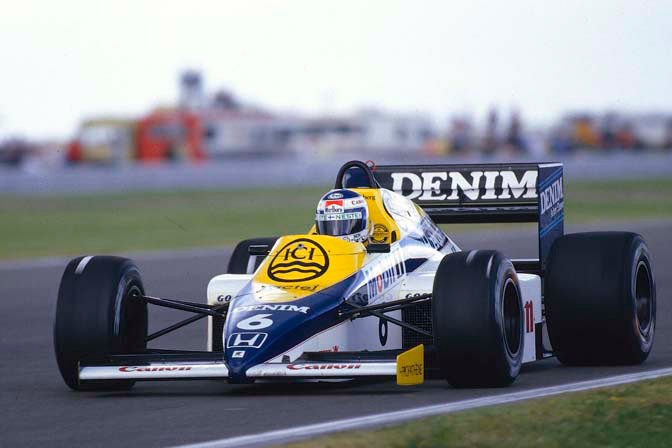 Nelson Piquet won the championship in 1987, beating team mate Mansell in a dominant year for the team. Surprisingly, this would be the only driver’s title for the Williams-Honda partnership. 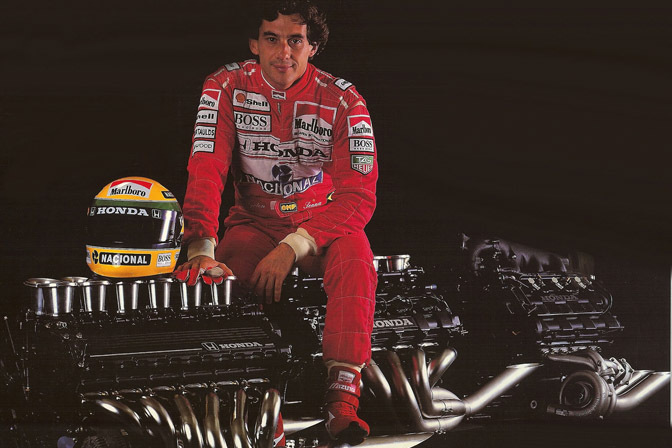 Honda had already decided to partner with McLaren, keeping alive their association with Senna. 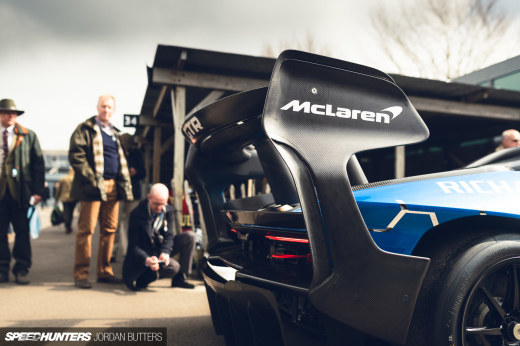 The success of McLaren and Honda is well documented. 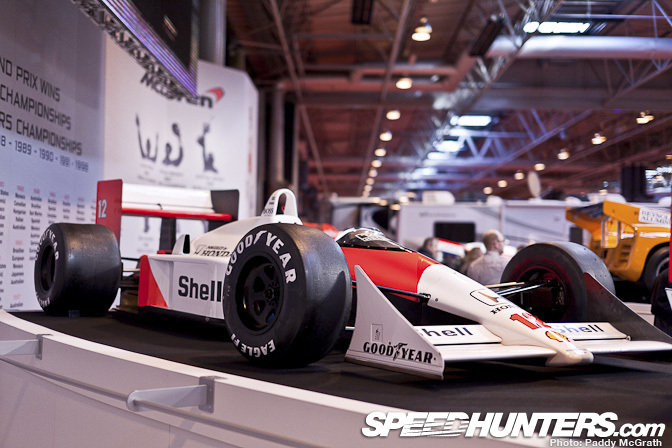 With Alain Prost and Ayrton Senna as drivers and a new MP4/4 chassis designed by Steve Nichols and Gordon Murray, the team won a record breaking 15 out of the 16 races in 1988, with Senna being crowned World Champion. A new 3500cc V10 non-turbo engine made its debut in 1989 after the FIA had banned turbos with the MP4/5 which was a development of the 1988 car. McLaren won the Drivers’ and Constructors’ Championship, despite the drivers acting independently on and off track. The two famously collided at the Japanese Grand Prix, with Prost retiring and Senna continuing on to provisionally win the race before being stripped of the win, post race for cutting the chicane, which others had done in the past without penalty. This handed the title to Alain Prost, but the Frenchman had enough and left the team at the end of the season, taking the #1 with him to Ferrari. The rivalry of Prost and Senna would continue the following year, coming to a head (again) at the 1990 Japanese Grand Prix when Senna drove into Prost at the first corner of the first lap. 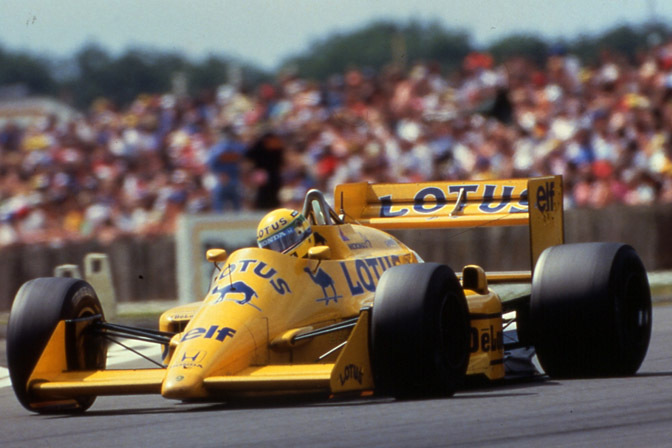 Both drivers retired, but this time Senna would take the Championship. McLaren-Honda were now coming under more pressure from Williams-Renault with their active suspension car, and from Ferrari, which were beginning one of their more successful periods. 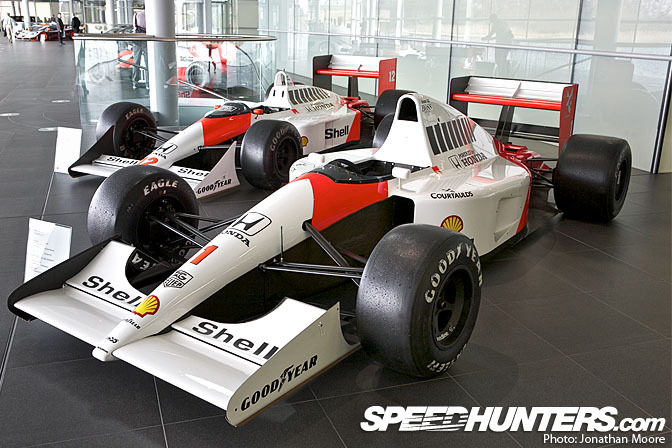 McLaren-Honda would take another Constructors’ Championship in 1991 with the MP4/6 and Senna would take his third and final title. If you get a chance to watch ‘Senna’ the movie, it offers a great insight into these Prost-Senna years. Honda pulled out of F1 in an official capacity at the end of 1992 but would remain as a partner through Mugen, taking a number of wins with Jordan and Ligier. 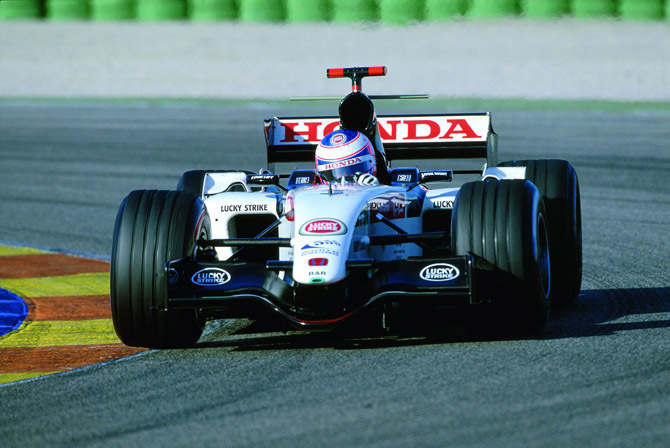 In 1999 Honda decided they would enter Formula One again as a constructor and started Honda Racing Developments in the UK with the late Dr. Harvey Postlethwaite as technical director and Dallara building the chassis. Postlethwaite suffered a fatal heart attack at one of the early tests and the project was derailed. 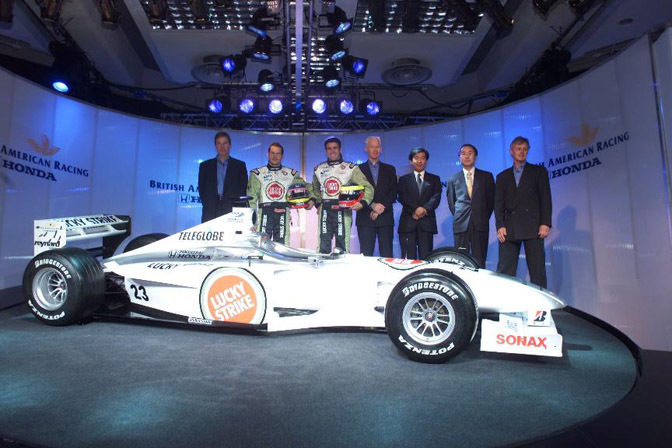 Meanwhile British American Tobacco (BAT) and Reynard had plans to enter F1 and partnered with Honda in 2000. British American Racing was born. It was a painful period for the team with little success, despite huge budgets. By this time, Jordan GP had replaced their Mugen engines with ‘works’ Honda engines and beat BAR in the Constructors’ Championship in 2001 and 2002! 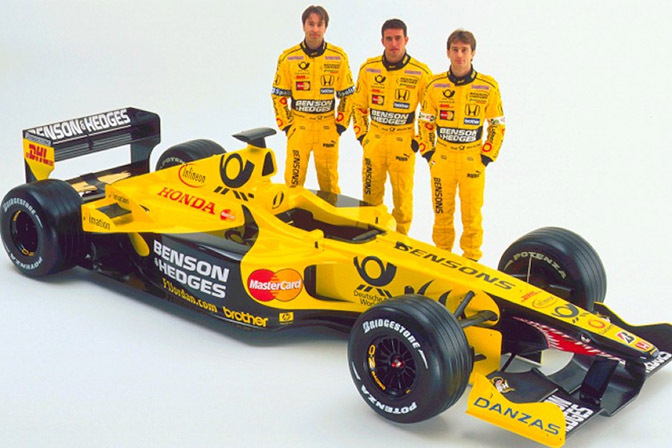 In 2005, Honda purchased the team from BAT, but kept their sponsorship for a couple of years. Despite the change, the team continued to struggle until mid-season in 2006 when Jenson Button won at the Hungarian Grand Prix, having started 14th on the grid. In a shock move at the end of 2008, Honda announced its withdrawal from F1 due to lack of results and the recession. Ross Brawn and Nick Fry were given some time to find a buyer for the team and in the end, Honda assisted Brawn and Fry to continue the team under the ‘Brawn GP’ name. The new car had been developed over a long period of time the previous year, with Honda’s budget, and it was instantly quick out of the box. Ultimately Brawn and Mercedes would take the spoils winning the 2009 Formula One World Championship with Jenson Button. The team has now been sold to Mercedes-Benz, with Michael Schmacher and Nico Rosberg at the wheel. Other than the numeric error, great post! F1 racing back in the mid 80s and early 90s was awesome! nice restrospective.. bloody hell the "ICI" logo! i used to work there! 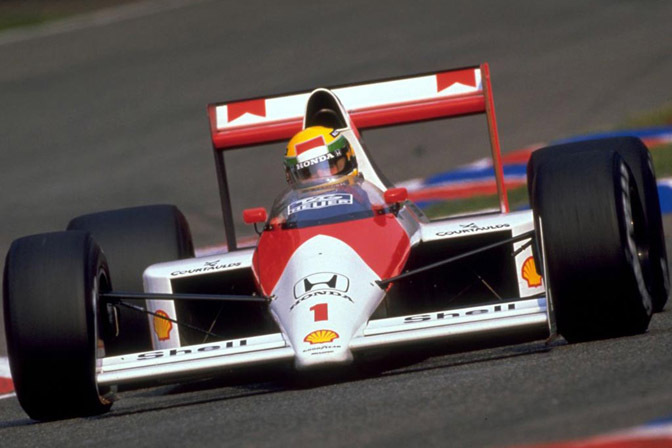 - ahh the 'Prost-Senna Era' - real drivers, driving real cars! This is good reading mr. Blackmore. More like this please!! how about one on BRM?. Sorry to correct...Just a little bit off on Honda withdrawal/Button's championship year-it was 08-09', respectively. 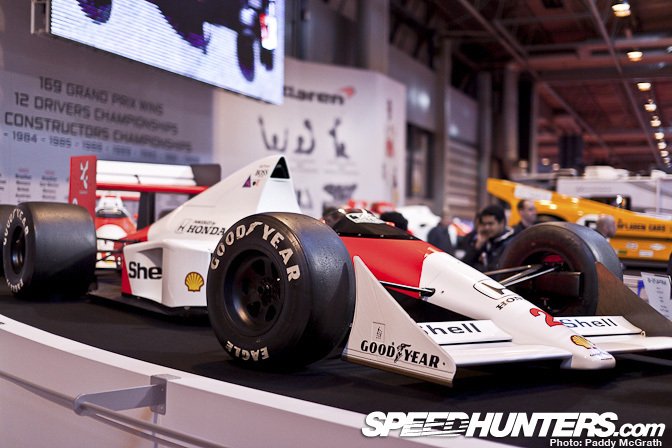 Late 80's and early 90's F1 cars such as the Mclaren MP4/6 and Ferrari 643 were the best. Those were the best days in F1 and sportscar racing...Bar none! The hilarity that when a Honda chassis finally started to win races and take the championship with a Mercedes engine in it is epic. It really demonstrates the degradation of Honda's motorsports efforts over the last decade. 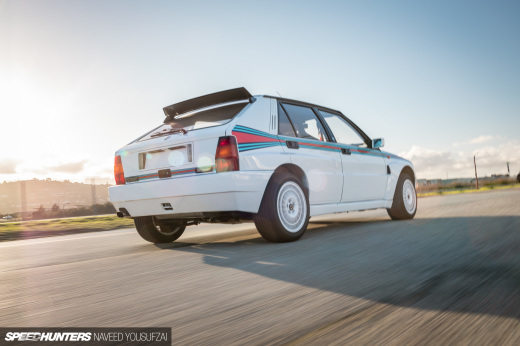 Once a mighty engine supplier now turned vanilla automobile manufacturer, with nostalgia and the past providing any kind of racing relevance. Updated a few of the dates guys. Sorry about that. The Brawn car that Button drove to the championship in 2009 had an aerodynamic advantage over the other cars, so much so that when it was found it had to banned. 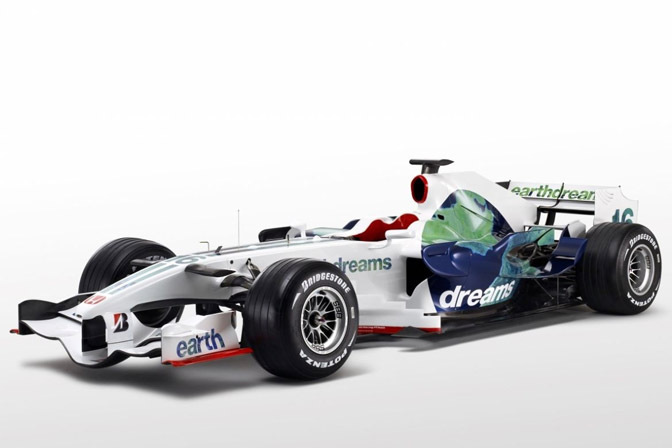 The car in the first photo was how I remembered F1 before they went through various changes. Now the cars have much more focus on aerodynamics and looks completely different. A huge sum of money just to keep the cars running. @Beef Supreme- Honda paid for the F1 team and manufactured the engine. That was the extent of their involvement. The team itself was based in Brackley, GB and staffed mostly by British engineers. Don't get me wrong, the Mercedes Ilmor is a great engine and definitely the most powerful in F1, but their car was so aerodynamically superior at the beginning of '09 that they probably would have won with the Honda engine. The main reason that the car was so fast in '09 was that they ditched the '08 car early and got a massive head start on the other teams designing their car for the '09 regulation overhaul, which was a major one. Ross Brawn, the team principal, actually said that they had to compromise the chassis to fit the Mercedes engine. I'm right there with you, however, lamenting the decline of Honda's sporting focus. We need Dino to go crack some skulls up at corporate in Tokyo. @Eugene: Do you mean the double diffuser that was deemed legal by the FIA at the time and adopted by every other team shortly thereafter? It was only banned for this year.